This security and privacy statement applies to this website, which is operated by Master Distributors Pty Ltd. 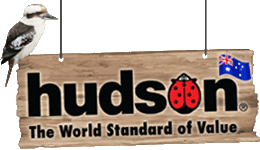 The purpose of this website is to provide information on Hudson products supplied and distributed by Master Distributors. Master Distributors acts in accordance with all governing laws in relation to the Privacy Act. Any personal information collected on this website is collated on a secure database at Master Distributors to enable service and on-going information to be communicated effectively. Master Distributors is committed to protecting your privacy and takes all reasonable measures to protect personal information from loss, unauthorised access, destruction, misuse, modification or disclosure. If your browser is suitably configured, it will advise you whether the information you are sending us will be secure (encrypted) or not secure (unencrypted). For further information on your privacy, please visit the Australian Government Office of the Australian Information Commissioner website at www.oaic.gov.au/.